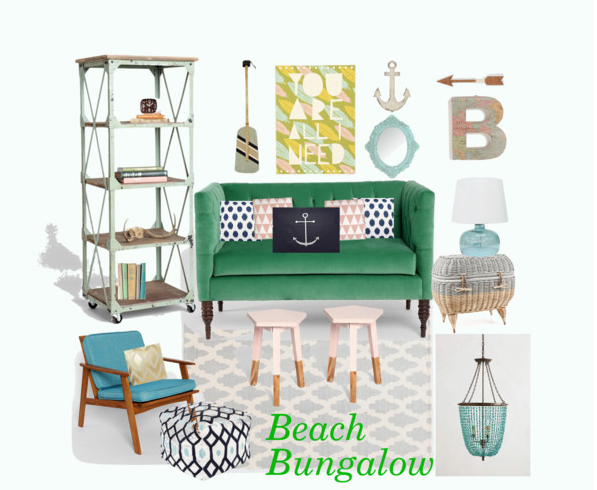 So if you have been following along you have seen the other spaces that I have designed for the beach house I am dreaming up. Today's focus will be on the kitchen. It's the heart of the house, right? I envision that the kitchen be open to both the dining area and the family room. Because I think big open spaces are perfect for a vacation home. 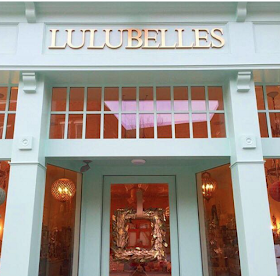 Here is an inspiration photo from the blog House of Turquoise that I found via Pinterest. 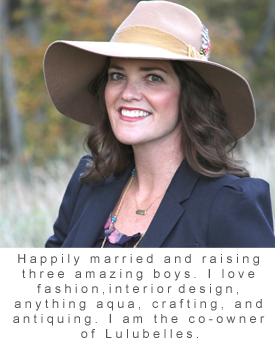 It was designed by Kerry Hanson. What I love about this kitchen, is the mix of white and gray cabinets, the stools, the light fixtures, the windows, and the backsplash. I really could envision something similar in a beach house. So I took inspiration from this photo, and I came up with this design. I'll start with the wall color. I figured you would not see that much of it, by the time the cabinets and backsplash are in, but I like having a little hint of the aqua. I think the color Retiring Blue by Sherwin Williams would be nice. The cabinets I would like to see painted white with no glaze, just clean and crisp. 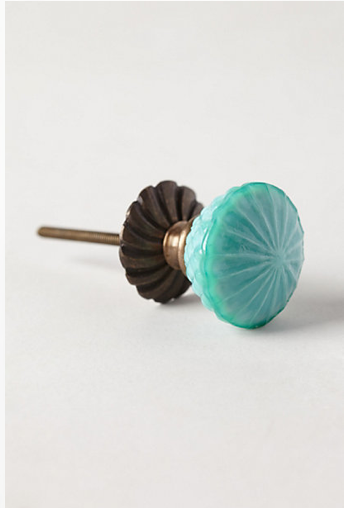 I would put these fun knobs from Anthropologie on all the doors. I may have to brush them with a little silver paint on the metal part. Then I would put cup pulls on all the drawers. I would make sure to have some glass cabinet fronts. I think it's great to have a place to display pretty dishes and serving pieces. 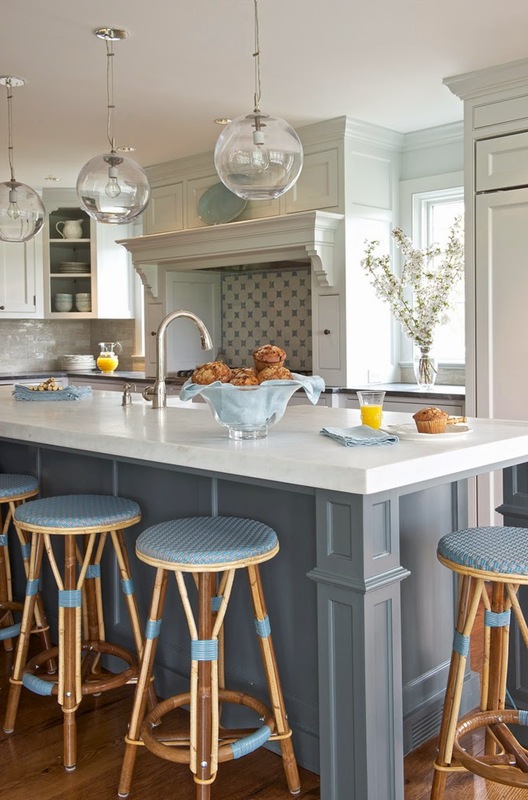 I like the design of the kitchen island, I would probably put a really light quartzite on it. We have that on our island in our kitchen, and I love it. 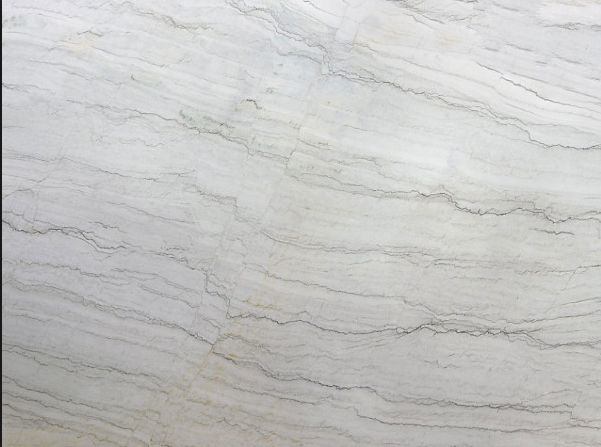 It looks like marble, but it does not stain, and holds up beautifully to all the day to day usage it gets. Here is an example of a slab I might choose. 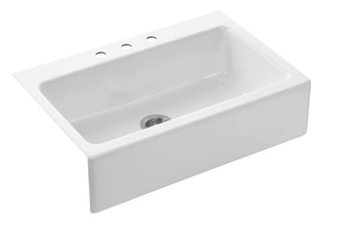 I would opt for a farmhouse sink. I love my farmhouse sink. 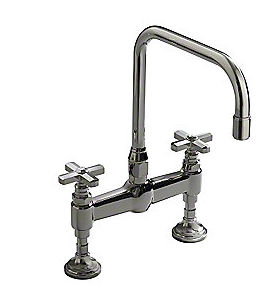 It is a classic addition to any kitchen. 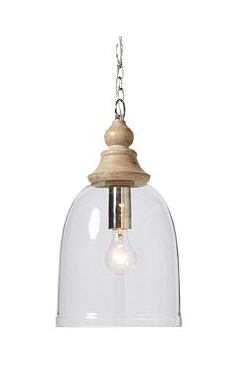 Love these glass dome light fixtures from Grandinroad. I think two of these over the gray island would be great. 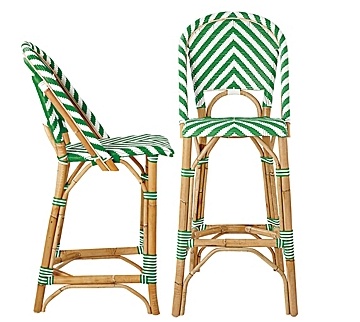 Seriously, I think, my favorite part of the kitchen would be these stools from Serena and Lily. I actually am trying to convince my best friend that she needs them for her new kitchen. 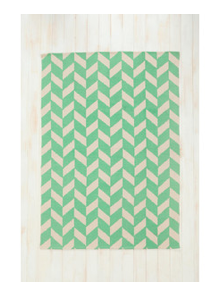 If you haven't noticed, I am really in to kelly green lately, I almost love it as much as aqua. And the two of them together is pure perfection. 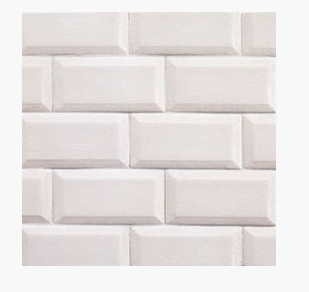 I would use a simple white subway tile. I love how these have a beveled edge. They are clean, classic, and timeless. The rug is from Urban Outfitters. 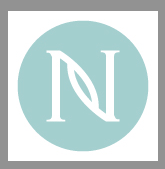 They have a great selection of rugs at reasonable prices. I love the idea of having baskets in the kitchen too. 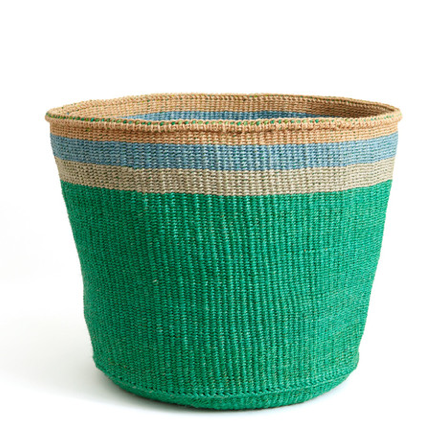 They are not only resourceful to use for storage, but they add a pretty layer of texture to the space. 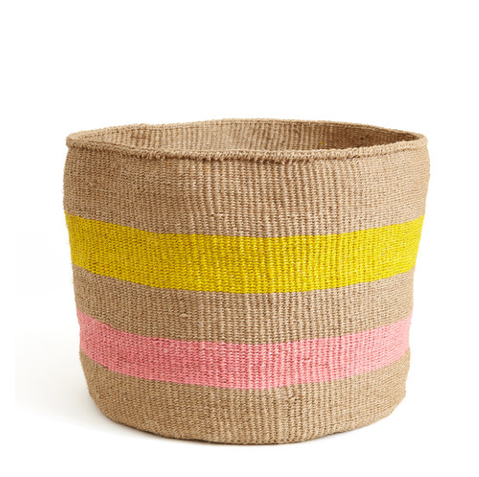 So I have this idea to purchase some plan tight woven baskets and then painting them to look like these. There you have it! I could probably write another post about all these dishes and accessories I would use. Of course I would have some vintage hobnail dishes on display in the glass cabinets, since I love collecting them. 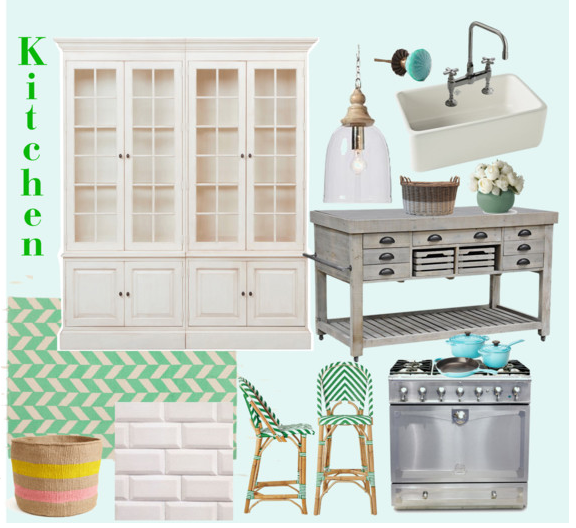 Here is my mood board for the family room space, so that you can see how nicely the rooms compliment one another. Love it Gretchen! Love your style and creativity. So fun!